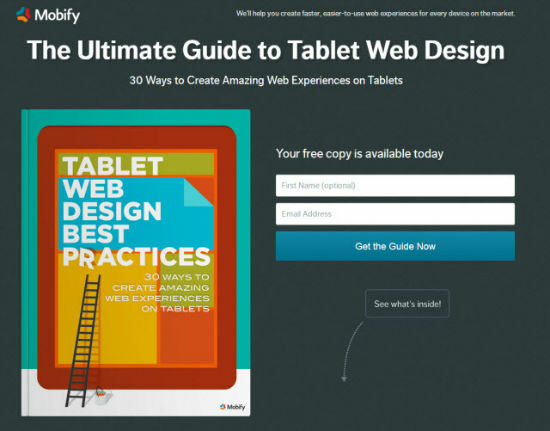 Mobify’s ebook is a compact read. Based on internal and external studies, its writers compiled a nifty list of the most essential tips in regard to mobile web design. Experience in designing mobile sites for large clients, such as Starbucks, went into the creation of the book as well as the experience of Mobify’s client workforce of 75,000 designers and developers. No wonder that some of the tips come naturally while you think about the matter, while others need more thought and would not have naturally come to me, at least not immediately. The ebook consists of two parts. 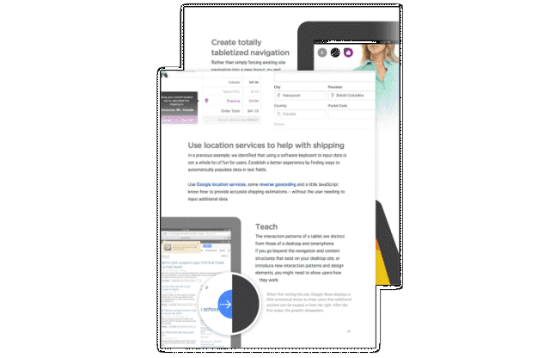 The first part assumes that you got an existing desktop website and would like to make it as mobile as possible to not lose mobile clients. With the rise of mobile, this is growing more essential by the hour. If you drive a web-related or at least supported business, you should definitely work through that first part thoroughly. Puzzled as to why I call this mandatory? In 2013 and 2014 sales of tablets will rise to an estimate of half a billion devices. Studies show, that tablet users spend an average of 20 % more while shopping online than their desktop counterparts. If you don’t support tablet devices, you will lose this revenue, which is partly substituting desktop revenue, completely. Puzzled as to why I say, you might lose that revenue? The answer is obvious. Desktop sites with fonts in sizes of 12 pixels, buttons too small to be touched and forms unusable on touch devices will drive off even the most patient web customer. If you are a tablet user, you will certainly agree: Most websites are no fun to be surfed via a tablet. On the other hand, web surfing is what tablet users do most. Can we agree somethings needs to be done? Admitted, the authors work for Mobify, thus linking to resources and tutorials by that service to visualize the concepts explained in the book. Keep that in mind an don’t let it limit you. The tips given are universally valid, no matter which tool you use. Overall, if you are an experienced mobile UI developer/designer, chances are the book won’t teach you many new things. If you are the average online-shop maintainer or a self-educated learning-by-doing designer, chances are, this ebook will push your skill level more than just a little higher. It’s important to use the same model of the navigation of the web design. some webmasters do a different design for the navigation in a different part in the website. Well, this is totally a big mistake because the user may think that he’s on another website which will make the user close the website … and now you lost a customer ! !